Creative Packaging Solutions at Valcraft Printing & Packaging Ltd.
At Valcraft Printing & Packaging, we are Western Canada's source for creative packaging and printing solutions. 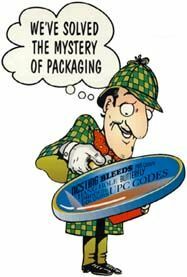 It doesn't take a legendary sleuth to know quality presentation plays a vital role in a consumers buying decision because salespeople can't convince consumers their products are worth buying; products must sell themselves. Manufacturers must give careful consideration to how well their products are presented. Effectively designed and produced packaging helps make your product stand out from the rest and Valcraft can provide the quality packaging to help sell your product! From concept to completion, we strive to produce the kind of packaging that sells. As a one-stop supplier, we can produce packaging for a single product or create a system for multiple product lines. Our goal is to ensure your satisfaction. We make certain you packaging is cost-effective and delivered on time. From blister cards, skin boards, clamshell packs, header cards and more let Valcraft help you find the right packaging for your product. See our products and services for more information about our solutions. We look forward to helping you. Call us today with your ideas and we will get to work on a packaging solution that will work for you.